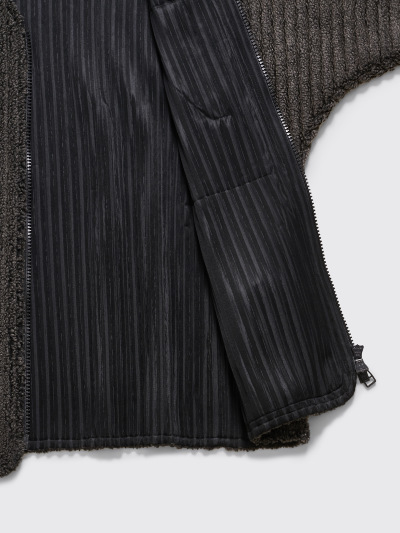 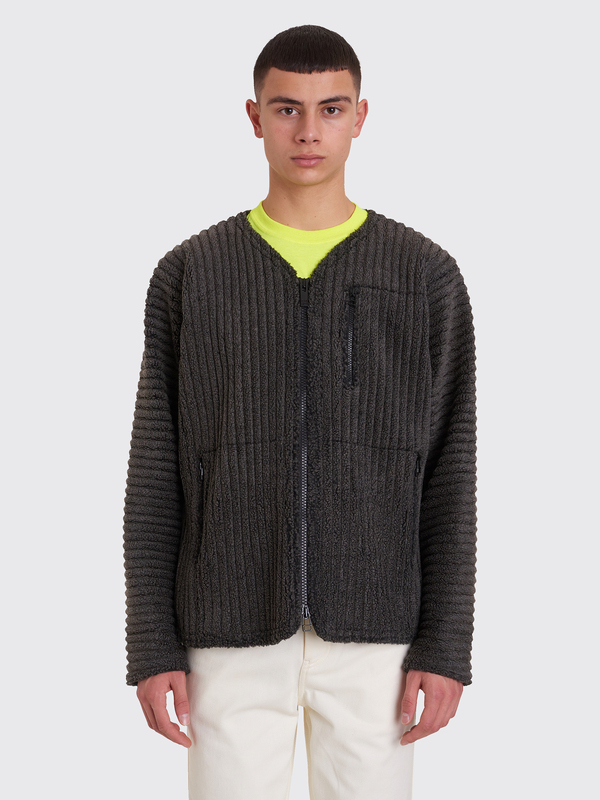 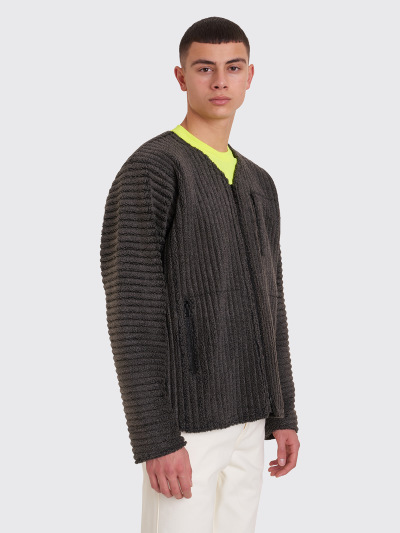 Pleated jacket from Homme Plissé Issey Miyake made from soft polyester fleece. 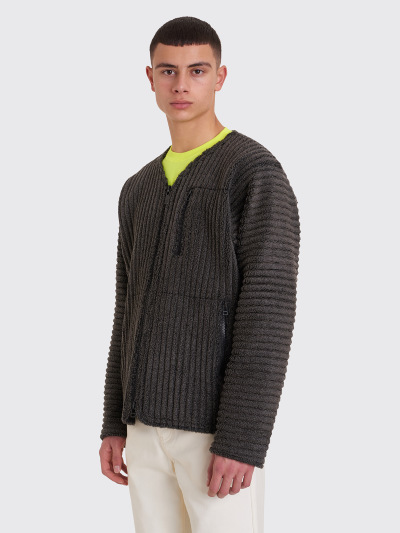 V-neck collar, branded two-way zip closure and three pockets with zip closure on the front. 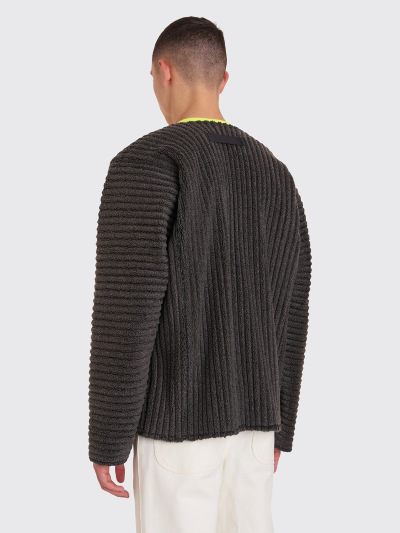 Hanger loop on the back and a straight hem. 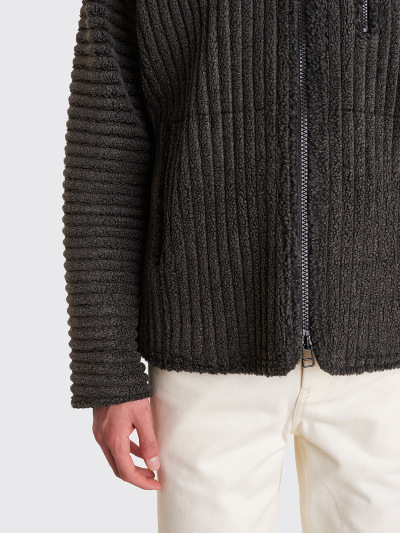 Grey fleece jacket. 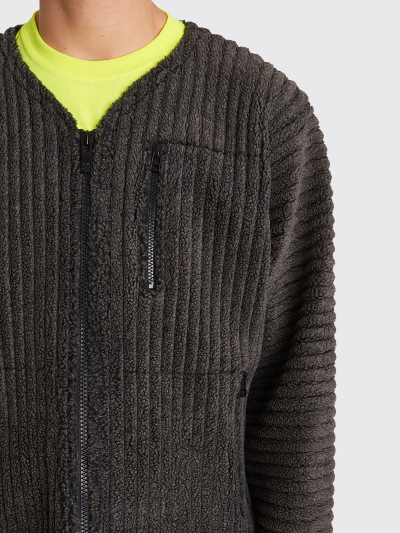 Made from 75% polyester and 25% acrylic.